Painted portrait of Christiaan Huygens. 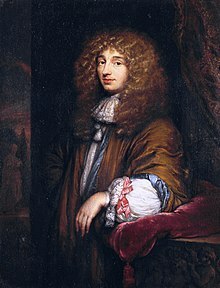 Christiaan Huygens ( listen (help·info)) (April 14, 1629–July 8, 1695) was a Dutch physicist, mathematician and astronomer, born in The Hague. He was noted for his arguments that light was in the form of waves. He discovered Saturn's largest moon Titan in 1655. He also did detailed studies on Saturn's rings, and in 1656, he discovered that they are made up of rocks. This page was last changed on 31 January 2019, at 11:21.